FRANKFORT, Ky., Dec. 22, 2017 — Developer CRM/D.W. Wilburn was selected for the demolition and reconstruction of downtown’s Capital Plaza Tower. 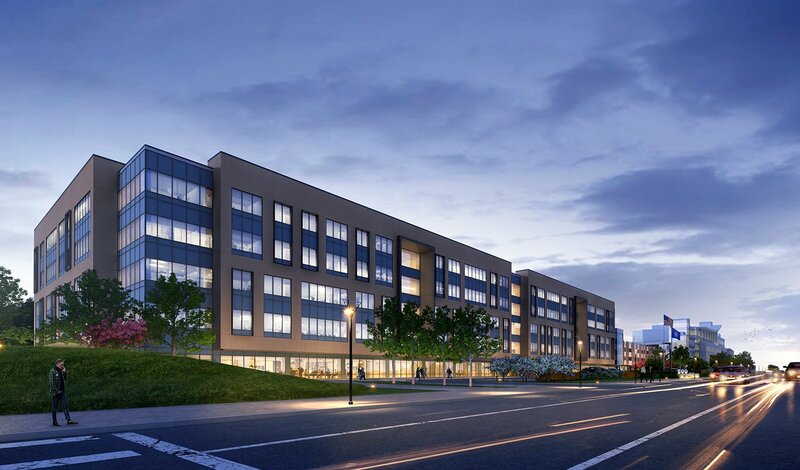 EOP is providing all architectural and interior design services for the 385,000-square-foot new office building that will replace the tower as well as the parking garage and fitness facility. The P3 (public-private partnership) project will demolish the Capital Plaza Tower, Frankfort Convention Center, two plaza area parking garages, elevated plaza and plaza infrastructure, Fountain Place Shops, Wilkinson Boulevard offices, the elevated overpasses on Clinton and Mero Streets and the cooling towers on Wilkinson Boulevard. The project also includes a new 1,206-space parking facility. Read the Lane Report article here.